i know, i know, you wonder about loving a pair of socks. 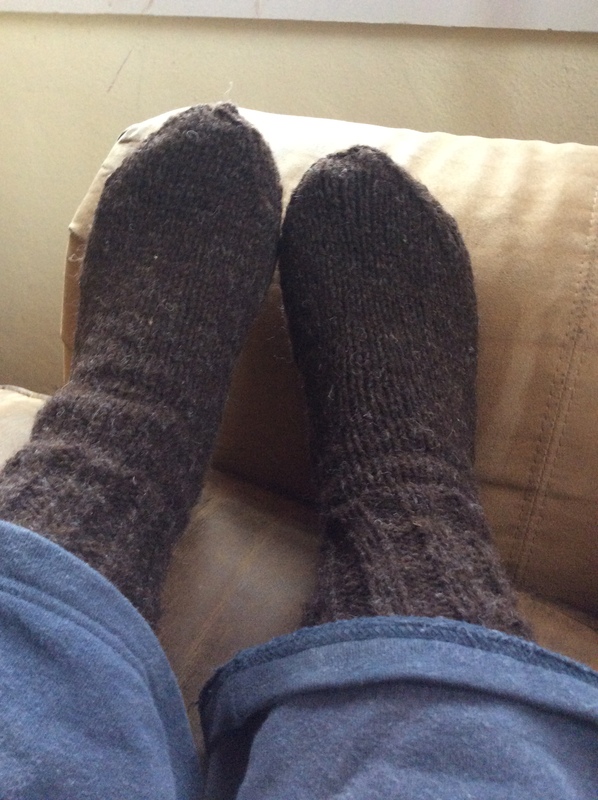 friends, let me tell you, when said socks are knit from your own farm’s wool and are complete just in the midst of an incredibly cold winter, it’s love. yes, i have turned two heels and my feet are forever thankful. This entry was posted in hands on and tagged hand-knits, knitting, winter, wool by robin. Bookmark the permalink. Congratulations. They do look very warm.